Sharpay’s Fabulous Adventure is a 2011 American direct-to-DVD musical romantic comedy film and High School Musical spin-off starring Ashley Tisdale. The film looks at Sharpay Evans’ life after graduation, trying to place a role in a Broadway show. 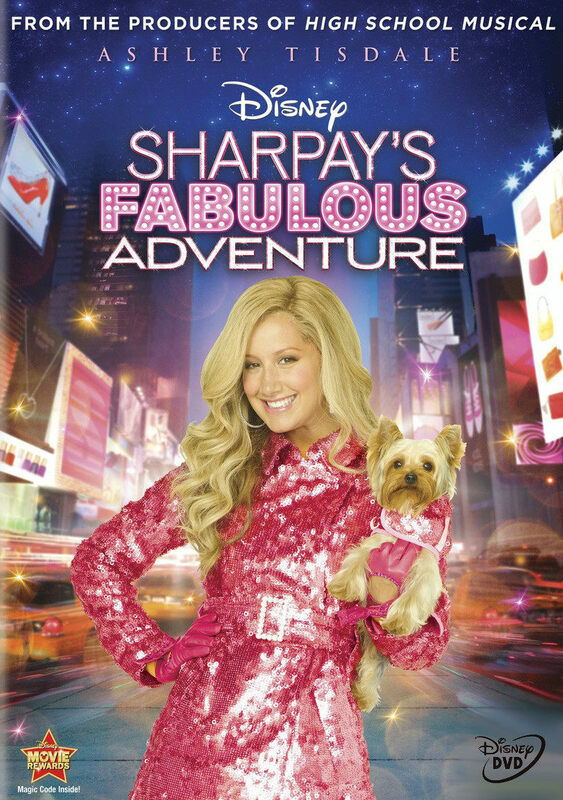 Three fonts have been used in the film title in the poster: the “Sharpay’s” part is set in Venus published by URW++, and the “Adventure” part is set in Luxury Gold published by House Industries. For the “Fabulous” part, it was possibly designed based on Gotham Ultra from Hoefler & Co..